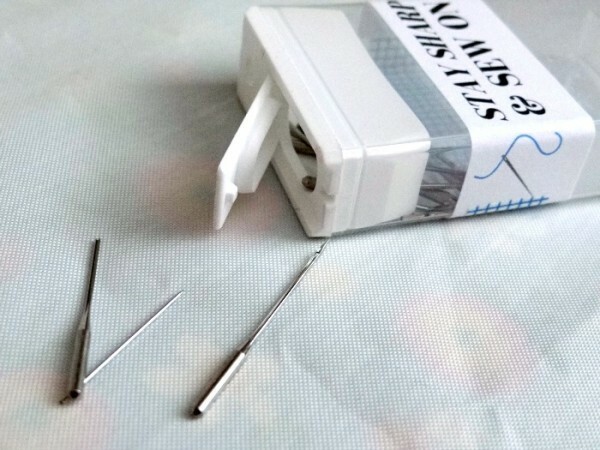 There comes a point in time when you can’t handle the broken stitches, messed up tension and other little goodies that happen when your sewing machine needle it dull and not working properly anymore. For some reason I always wait wayyyyy to long before I change it out and usually a whole slew of problems happen before I finally figure out that I’ve been using the same needle for longer than I was supposed to. Part of my hesitation is where do I put that darn needle? Or even pins that go bad, get bent or break. Not a big fan of tossing it into the garbage bag. Knowing my luck, I’d find that need or pin sometime in the future while taking the trash out. So- what do you do with your needles? You keep them in a container…… like a tic tac container. The hole is small so if you fumble with it and it drops, you won’t find yourself picking them all up. It’s large enough to hold a lot of pins and needles! When it’s time to toss it out, those sharp things are still contained and won’t be poking anyone anytime soon. 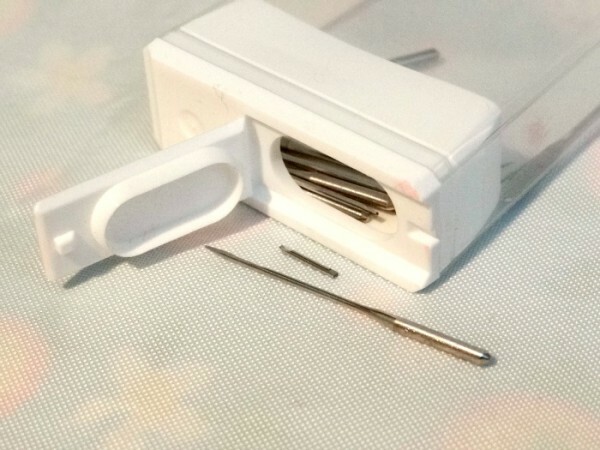 It’s small enough to have a few around- in your sewing kit, travel case if you go on sewing retreats or by your machine…wherever it goes, it’s right there and doesn’t take much space. 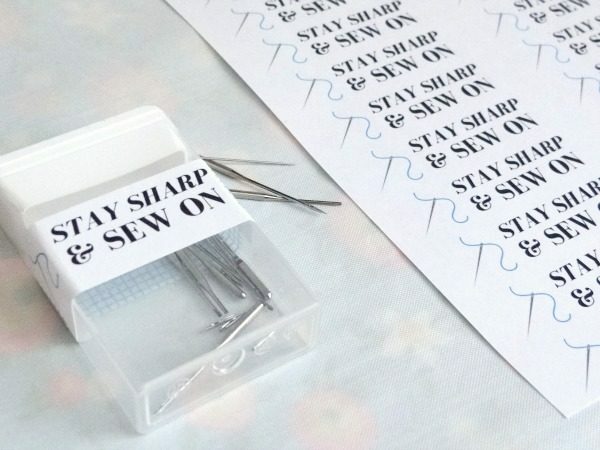 Need a little label for your needles? Go here to print it off and stick it on! Of course I totally noticed that there are a ton on the page to print. It just means that you have to share them. 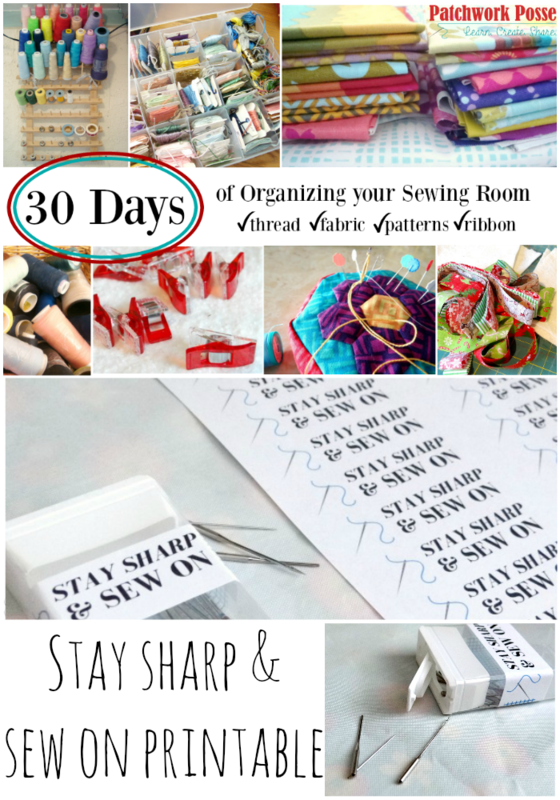 Download the pdf file for this project from my free resource library. 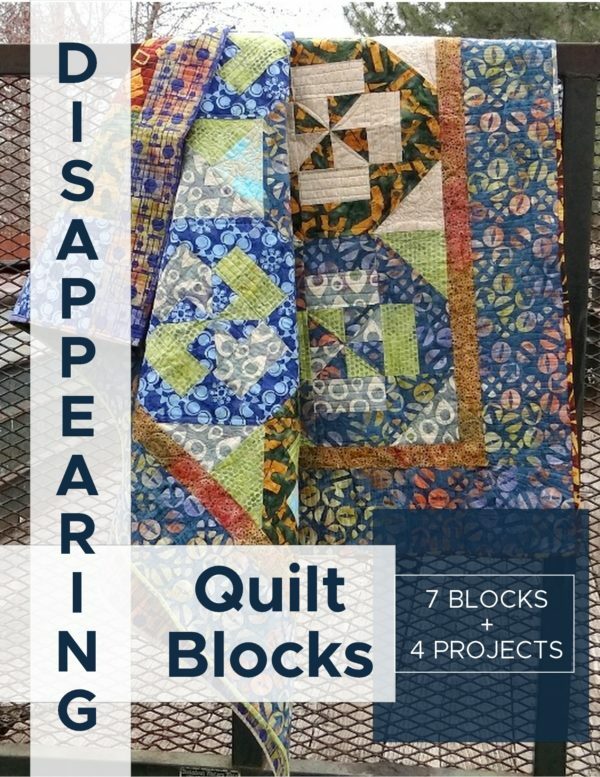 Get the password for the library including this free pattern! Let them know where you got it though so they can grab a few other printable goodies and patterns too. What a fantastic idea. I too hate to toss them in the trash when no longer usable. Thanks. Many years ago I used 35mm film canisters w/ a small hole, but they went out w/ digital cameras, so now I have several other options: small plastic spice containers w/ shaker top & snap lid, amber color medicine bottles (childproof caps are a bonus), OTC pill bottles. I use a cup hook or screw to drill the hole. I always labeled them “Broken Pins & Needles” the trash handlers will be aware. Having a chronic illness means I have a plethora of prescription pill bottles in all sizes. I recently sorted my years of inherited pins and needles, threw out anything rusted or broken. It took me nearly half a day but it was a good start. My sewingroom/studio is being nearly finished. I can’t wait to move into it. I use old prescription bottles and have one that sits by the machine that I have a hole in the top so I can put the needle in and when it gets several then I dump them into a bigger bottle with other sharp items and then toss. Just make sure you remove the label from the bottle. I do lots of machine embroidery so go through lots of needles. 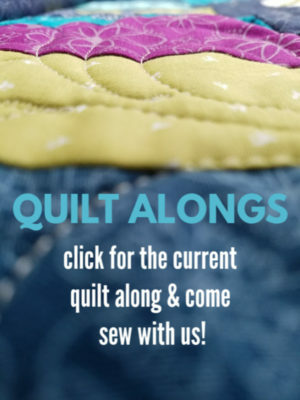 Hi, I just found your website and look forward to getting my sewing room to the point that I can actually use it. 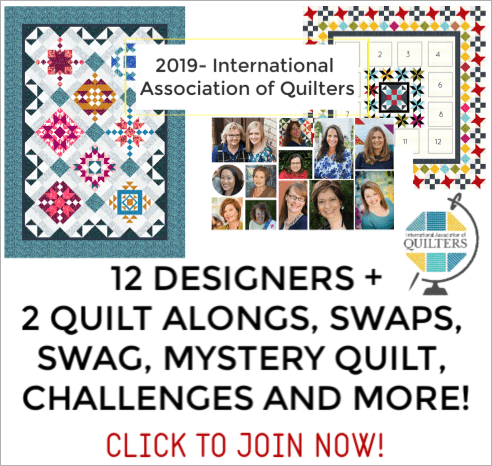 I belong to a quilt guild small group, and one of our group made containers for all of us. It is an empty plastic bottle from powdered coffee I think. About 4 inches high and maybe 2 1/2 inches in diameter. Has a top you can screw off but also a pop up lid so you can drop in pins and needles and remove to drop in old rotory cutter blades. She decorated the tops with fabric flowers and it sits proudly on one of my shelves. Mine was a poppy as she knows I love poppies. It has enough room to last for years. Thanks for spurring this old gal to get her room organized. I look forward to the next steps. First on a used needle, I colour the shaft with a sharpymarker, so i dont accidently use it again. 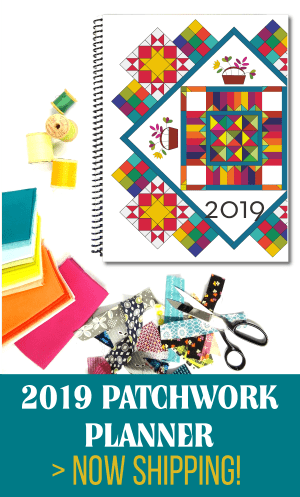 Used needles are great to use instead of a nail for hanging small to med pictures, mini quilts calendars etc on the wall, they are strong, and make tiny holes.